Chemical burns represent potentially blinding ocular injuries and constitute a true ocular emergency requiring immediate assessment and initiation of treatment. The sequelae of an ocular burn can be severe and particularly challenging to manage. An appropriate initial emergency management may be the most important factor in determining visual outcome. Chemical eye injuries can occur from any exogenous material contacting the eye. This includes alkalis (e.g., lye, cements, plasters, airbag powder, bleach, and ammonia), acids (e.g., battery acid, pool cleaner, and vinegar), solvents, detergents, and irritants (e.g., mace). Severity of the eye injury depends on the pH, concentration, and the nature of the chemical. Acid injury is mainly a superficial disease, as coagulative necrosis occurs (precipitation of tissue protein), which prevents further penetration of chemical beyond the cornea. One exception to this is hydrofluoric acid, which may rapidly pass through cell membranes and enter anterior chamber of the eye. Alkali injury is more common and more detrimental than injury from an acid. It causes a disruptive liquefactive necrosis with breakdown of normal cellular barriers, facilitating deeper penetration of chemicals into the anterior chamber, causing cataract formation and damage to the ciliary body and to the trabecular meshwork. Patients usually describe a splash of chemical followed by moderate to severe pain, photophobia, blurred vision, and sensation of a foreign body. Reflex blepharospasm and red eye are common signs of chemical injury. If the affected eye looks white after exposure to an alkali (See Image A), it could be an indication of a particularly severe eye injury with ischemia of the conjunctival and scleral vessels. A simple method of classifying the severity of chemical injury is the Roper – Hall Classification (See Table I). Examination should be systematic and include visual acuity, conjunctival examination for redness or blanching, an assessment of limbal vessel loss, fornix examination (including areas of conjunctiva between the lids and the globe for injury and residual chemical), assessment of the corneal epithelium and stroma, measurement of the IOP (Intra Ocular Pressure) and assessment of the anterior chamber for inflammation. Chemical injury is the only eye emergency in which treatment should not be delayed to evaluate visual acuity. Keep the patient NPO in the event that surgery is required. Consider discussion with an ophthalmologist once you have started irrigation. Topical anesthetics (e.g., tetracaine) help to relieve pain and thus facilitate eye irrigation. The eye can be irrigated using an intravenous tube, nasal cannula, or Morgan lens (See Image B). 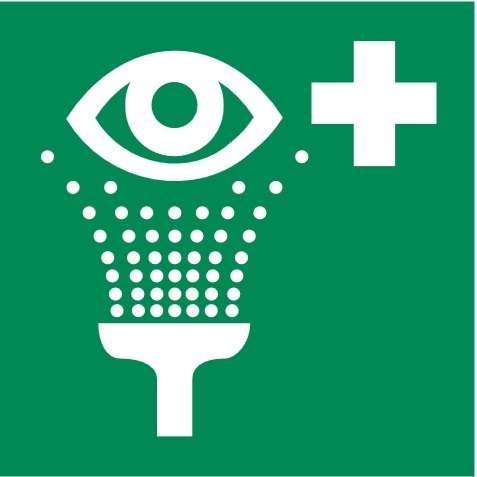 If you get a call about an eye injury you may instruct the patient to bring the chemical, if possible. It may be helpful to find out the exact chemical used. Overall, when talking about ocular chemical burns the first and foremost interventions are irrigation, irrigation and irrigation. (A) Cornea opacified by an alkali burn. (Table I) The Roper- Hall Classification of chemical injury. Image A available at http://www.kellogg.umich.edu/theeyeshaveit/trauma/chemical-burn.html “Chemical Burn” created by Jonathan Trobe, M.D, University of Michigan Kellogg Eye and The Reagents of the University of Michigan, used under Creative Commons Attribution license. Image B is available at http://www.ncbi.nlm.nih.gov/pmc/articles/PMC3230139/ “Chemical Burn to the Eye” by Justin Klaff, MD, Stephen M Milner, BDS, FRCS (Ed), FACS, Stuart Farris, MD, and Leigh Ann Price, MD in Eplasty (Open Acces Journal of Plastic Surgery), used under Creative Commons Attribution license. Table I is adapted from Roper Hall MJ. Thermal and Chemical Burns. Trans Ophthalmol Soc UK 1965; 85:631-53. Gerstenblith A, Rabinowitz M. Trauma: Chemical Burn In Wills Eye Manual: Office and Emergency Room Diagnosis and Treatment of Eye Disease. 6th ed. Philadelphia, PA: Lippincott Williams & Wilkins; 2012. Borooah S, Wright M, Dhillon B. Chemical Injury In Ophthalmology Pocket Tutor.1st ed. London, UK: JP Medical Ltd; 2012.